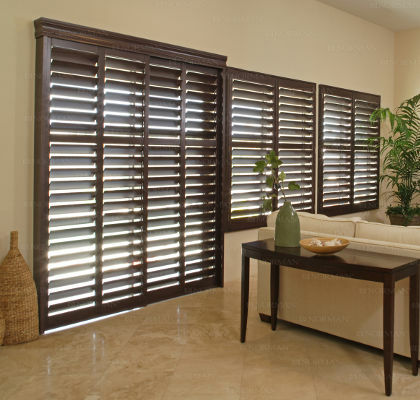 Make an elegant statement in your home or office with shutter window treatments. 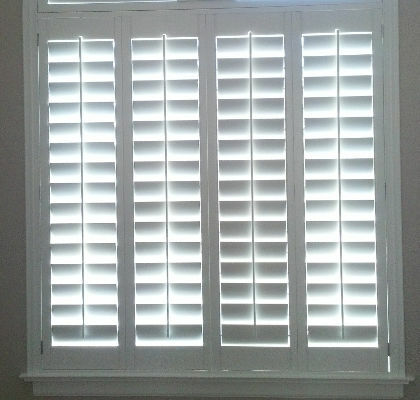 Not only are shutters attractive, they help control the temperature in your home. Shutters are built to last and will save you money! 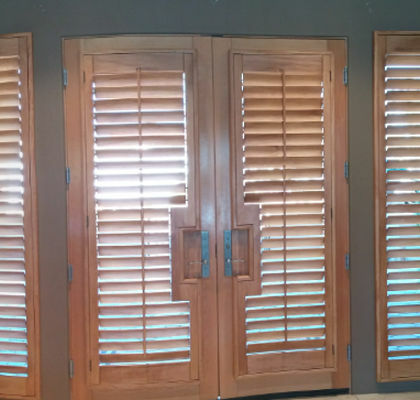 The custom faux wood shutters at Blinds Mart will compliment and add beauty to any room in your home. 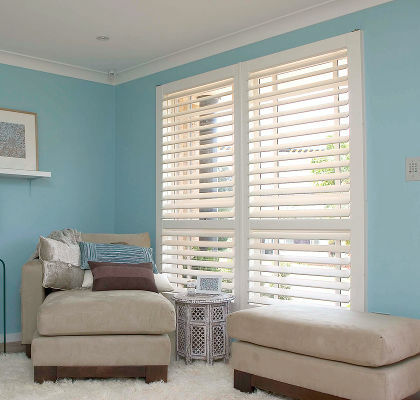 Our low maintenance shutters are constructed from an extremely durable composite wood with a tough polypropylene coating covering all surfaces. The shutters have a high gloss finish which resists scuffing, chipping, peeling, paints, inks and general deterioration and also incorporates a special UV inhibitor to prevent color fading. The durability and quality of our faux wood shutters are made to enjoy for years to come. 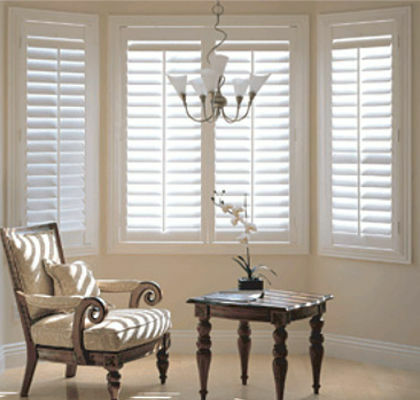 Blinds Mart offers American Made as well as imported custom wood shutters. 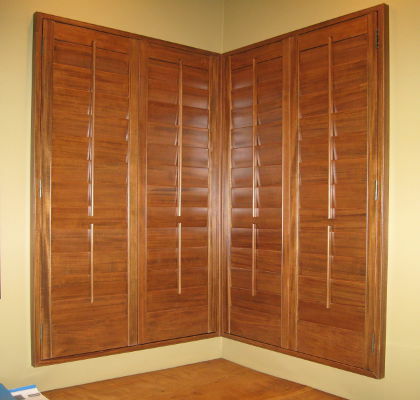 Our shutters are handcrafted using hand selected basswood and other hardwoods. With many frame styles to choose from as well as paint and stain finishes, our wood shutters are not only an investment in your home they are built to last and will add beauty in your home for years to come.